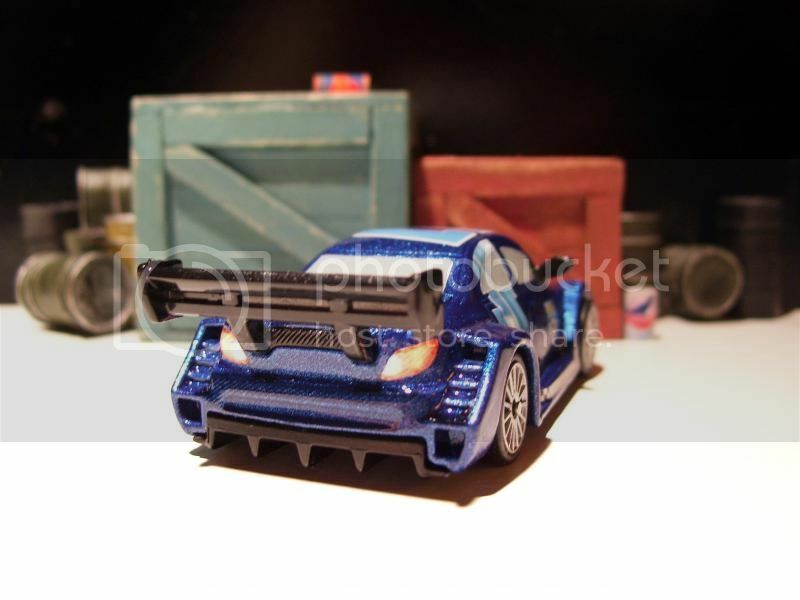 We are getting ready to place an order for the PCD custom racer... this will be a limited production run of 100 pieces... at this time we are placing a limit of 1 per person but may look into increasing this to 2 depending on how sales go... once we place the order, they should be made within a month... we may be using a Dark Blue Metallic finish paint. You may pre-order your PCD custom racer... $50.00 plus shipping. Please reply in this thread and send a PayPal gift for $50.00 to carter.chris @ yahoo.com (remove the spaces) for the racer... actual shipping charges will be factored at the time we ship to you... if you don't want to send a gift, please add PayPal fees... those of you who supported PCD during our spring fund-raising period will get your PCD custom racer for $40. 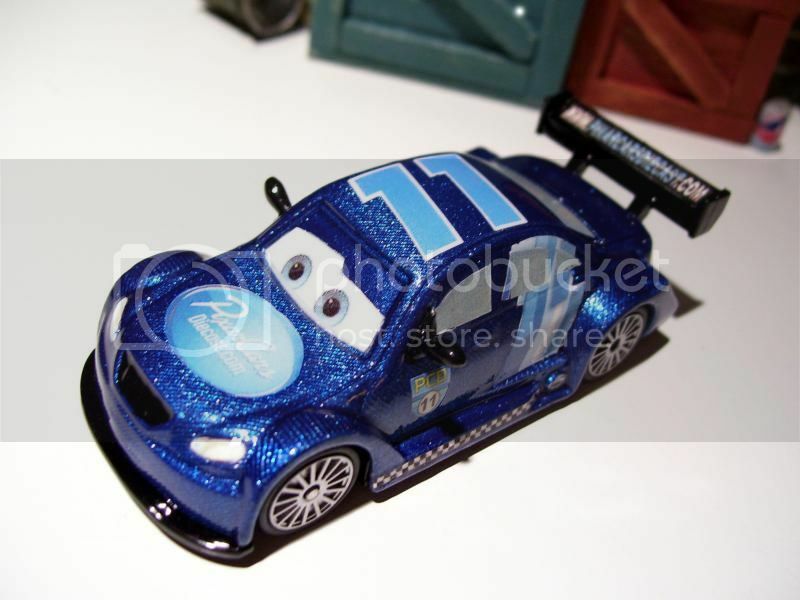 Many thanks for supporting PixarCarsDiecast.com! Also available for purchase (well, ones like 'em anyway). Production of the PCD custom racer is under way... they hope to have them finished by the end of next week... as soon as I have pictures of the finished racer I will post them. Would love one, but not sure I can afford it at the beginning of the year. What's the process on these, is gotfrank or someone else making all of them? 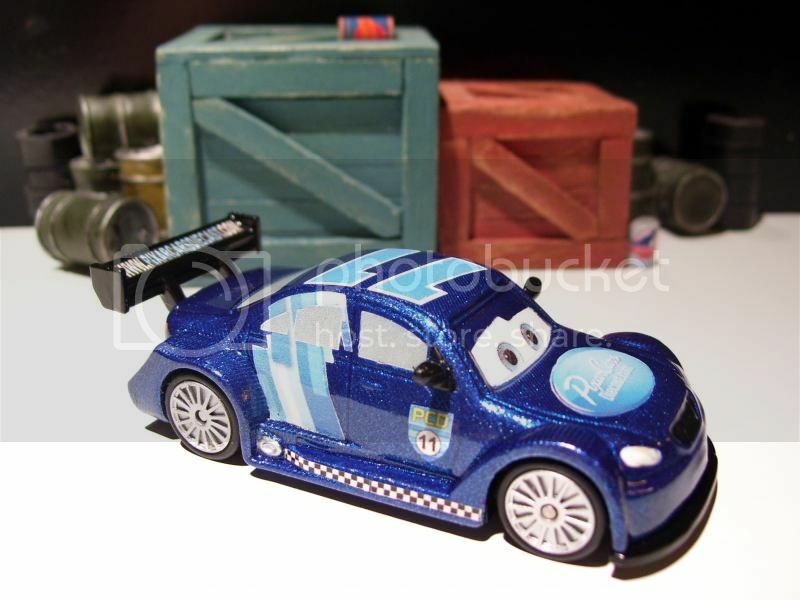 Check out my trades list, it's always up to date : http://www.pixarcarsdiecast.com/foru...st-take-a-peek! They are being made by someone else. Using my prototype as the template. It shouldn't be to long til we see the finished product. I've seen pic of the final product. And it's lookin' good! Get 'em while they last folks! There's a big difference in a Car made in a factory run and a custom like this. The more you make the less each Car costs to make. Also small runs like this requires a lot more work. Working the graphic from scratch and all. And not having the Mattel assembly line... So customs can be expensive. I always say when I do a custom Car for someone. Neither of us are going to be happy with the price! Also purchasing these will help fund PCD in the future. So please consider adding one of these beauties to your collection everybody. I'd love one!.. But I can't afford it, even though its really cool being custom and all. "I'm a paderbuilt for dags sake!"